Welcome to University Presbyterian Church, a community of faith in the heart of Chapel Hill, where we believe that we are called by God to bring our minds as well as our hearts to the life of faith and discipleship. 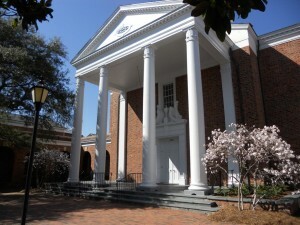 University Presbyterian Church is located at 209 East Franklin Street in Chapel Hill. Convenient parking is available in the Rosemary Street parking deck and in the parking lot adjacent to the Morehead Planetarium.